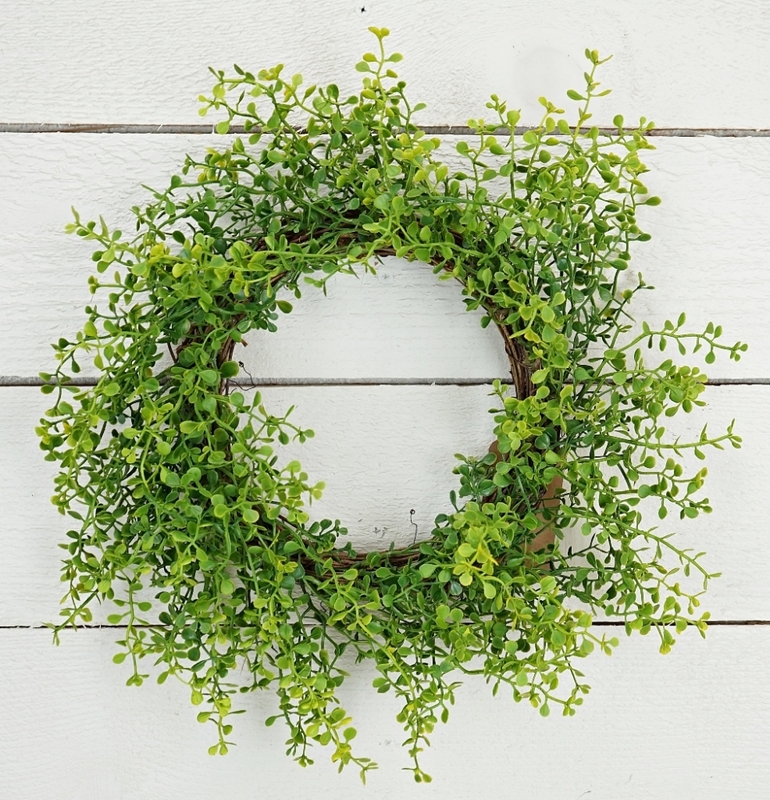 It’s easy to bring some of the beautiful greenery of the outdoors into your home when you shop the selection of wreaths and garlands from Christmas Tree Hill. 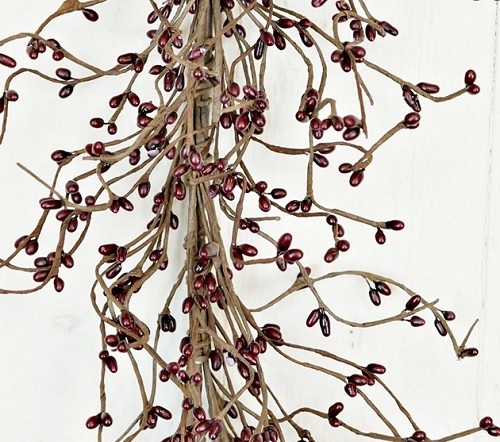 These home decorations are made from artificial vines, leaves, flowers and beads that have all of the beauty of the real thing without the short lifespan. 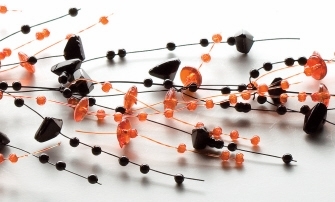 There are styles in our selection designed for every season of the year. 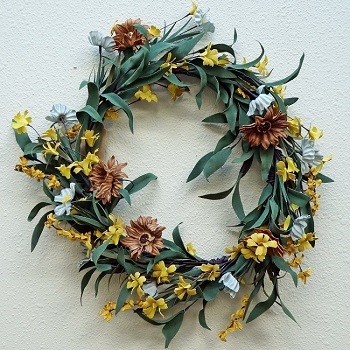 Choose from spring, summer, fall and winter wreaths and garlands and don’t worry about needing to replace the dead flowers every week. 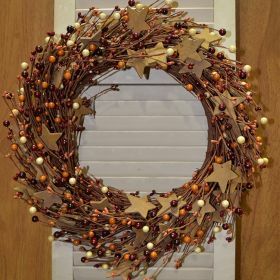 You can display this gorgeous decor on your walls, doors or tabletops when you shop our selection of fixed or adjustable wreath stands and over-the-door wreath hooks and hangers. 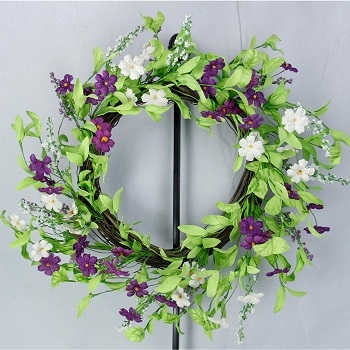 Artificial Wreath - "Daisy Wreath" - 12"
Artificial Wreath - "Purple Violet Wreath" - 20"
Artificial Wreath - "Forsythia Wreath" - 20"
Artificial Garland - "Acorns/Hydrangea Garland" - 4 ft.
Each of our wreaths is expertly arranged using artificial flowers, leaves and other greenery. 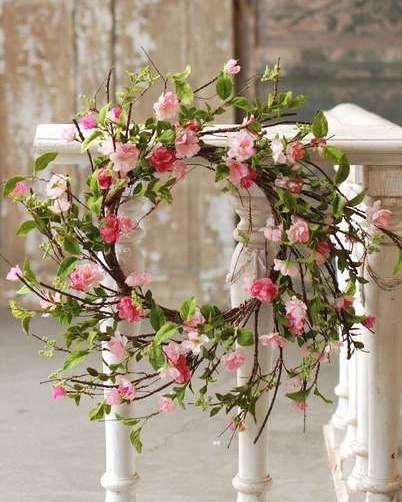 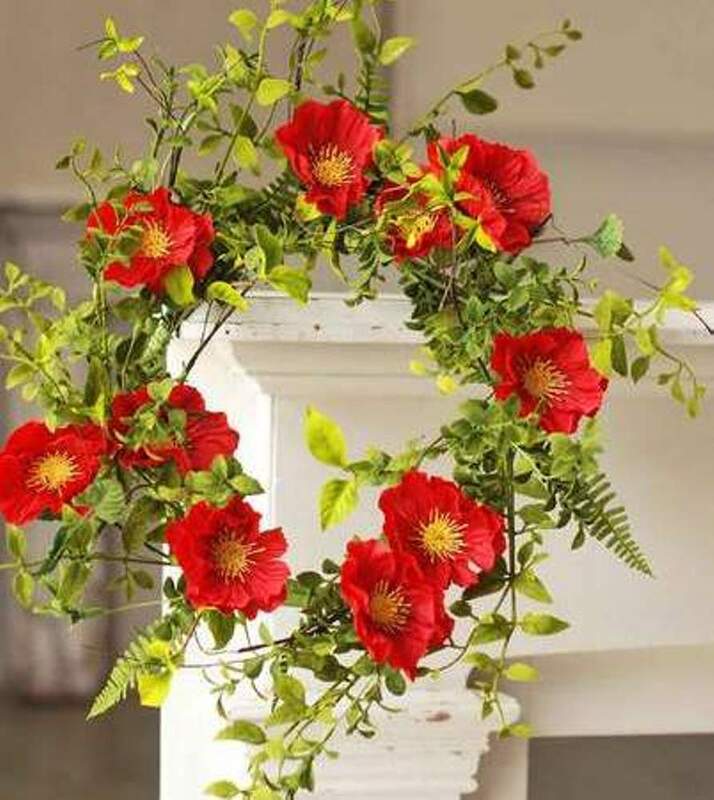 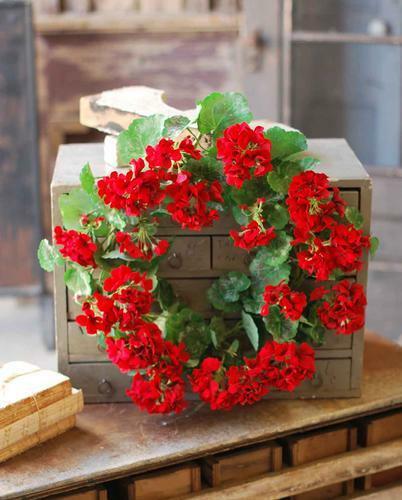 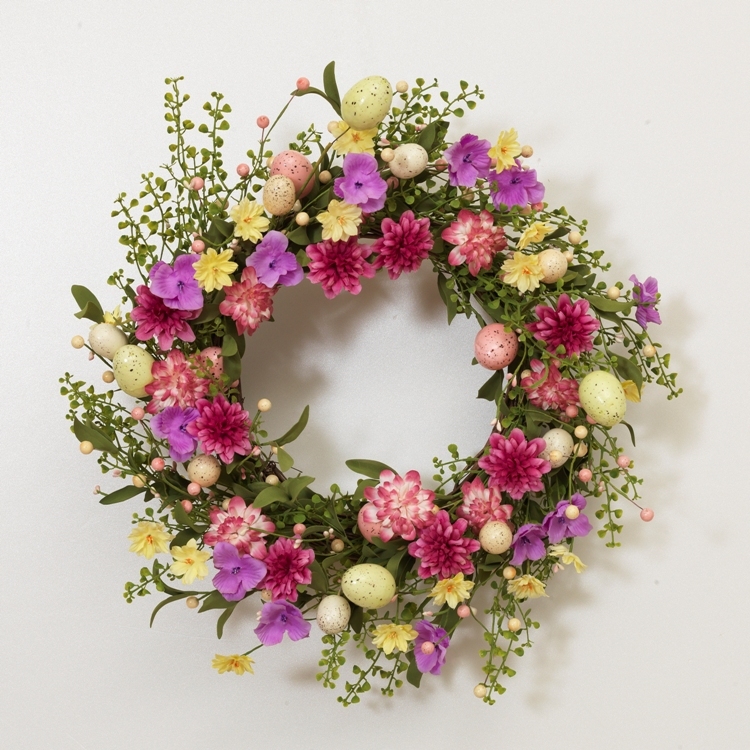 Add the vibrant colors of natural flowers to your home by choosing one of our floral wreaths. 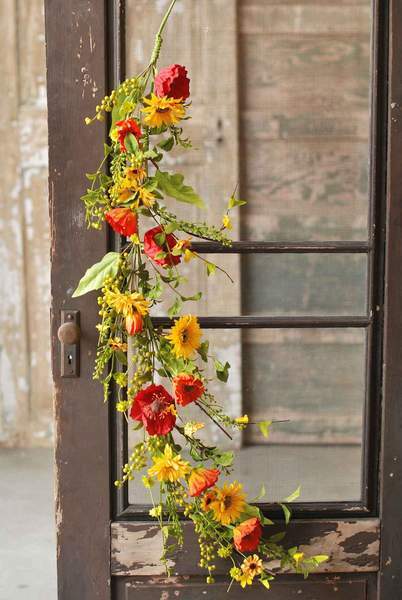 Some of the beautiful flowers used in these designs include sunflowers, poppies, cherry blossoms, geraniums and lavender. 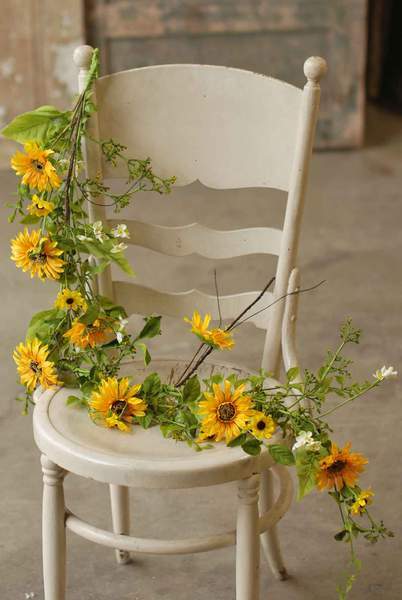 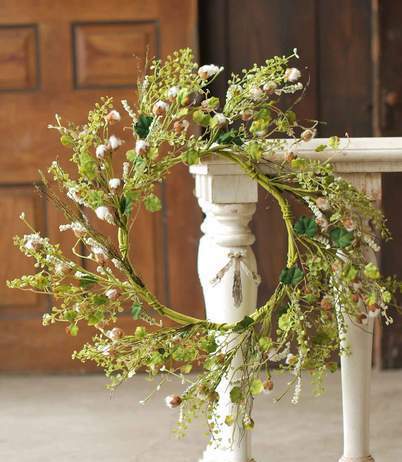 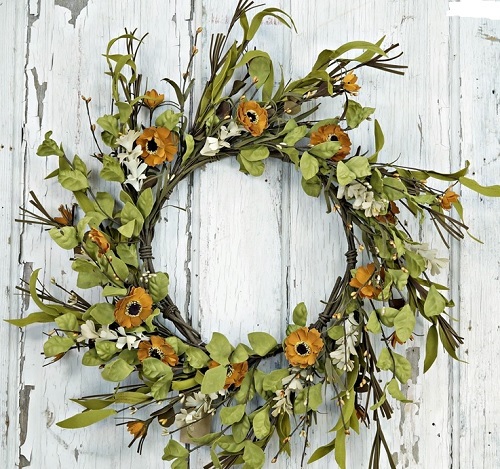 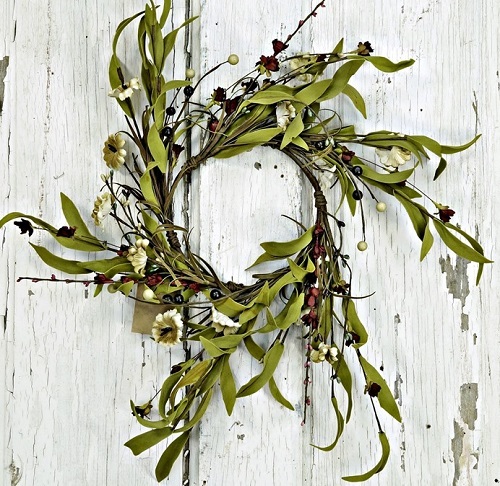 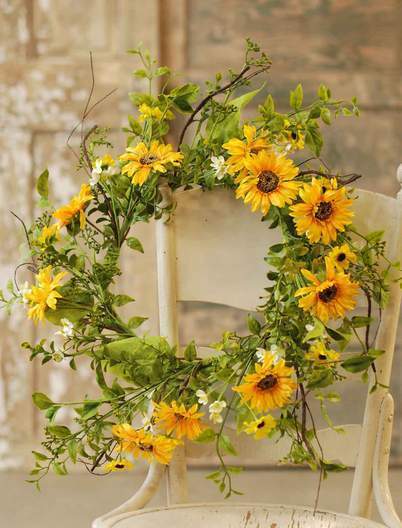 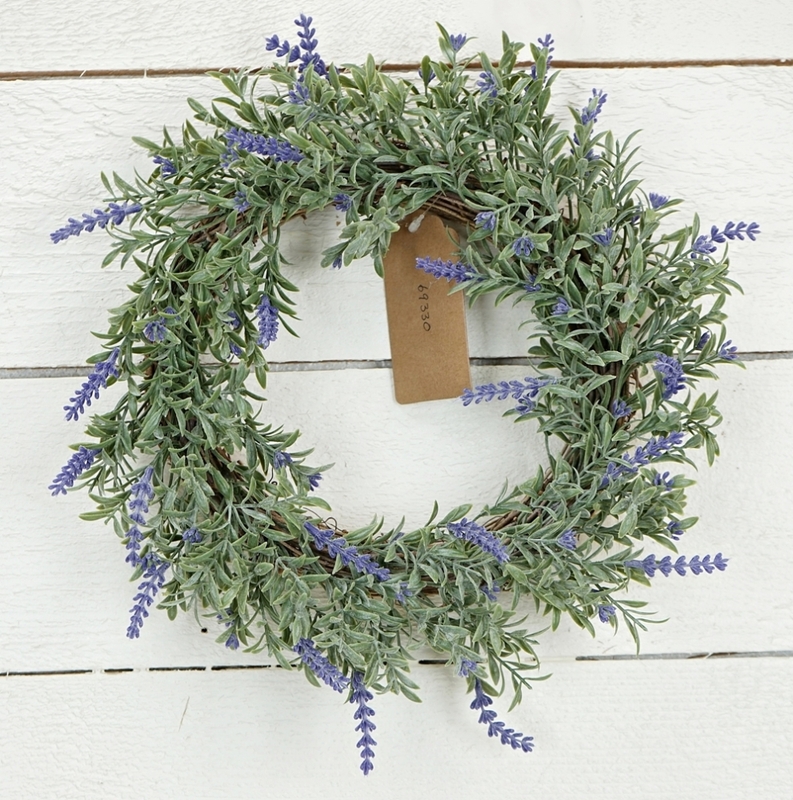 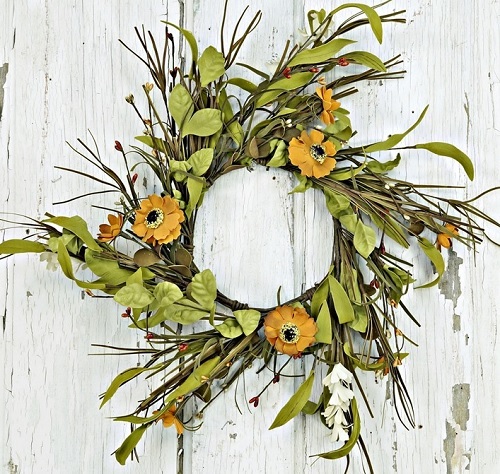 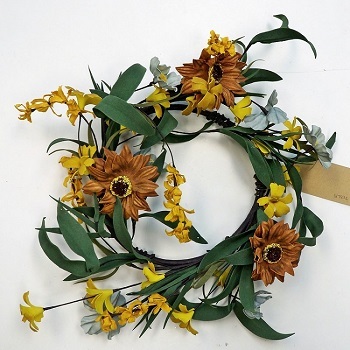 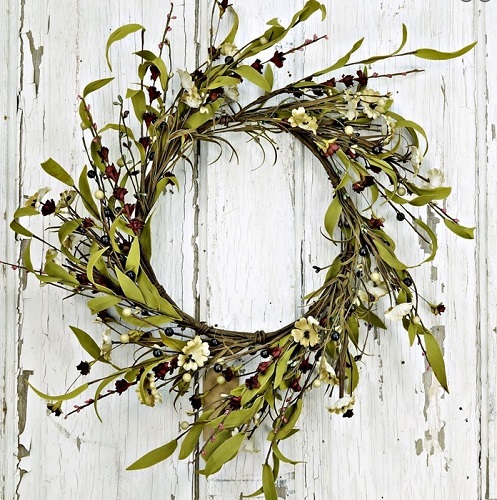 Opt for a more homemade, country look with our wild daisy wreaths or designs made with violets. 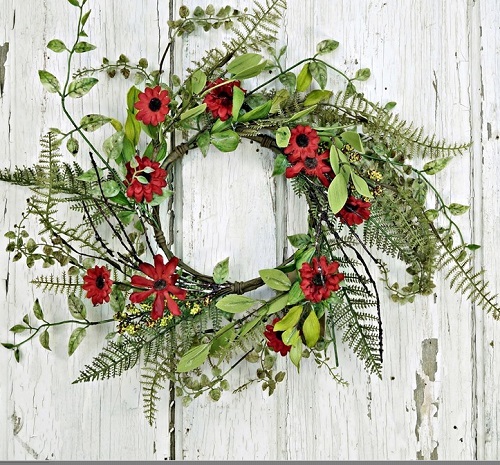 Some of our other wreaths have greener, more subdued designs. 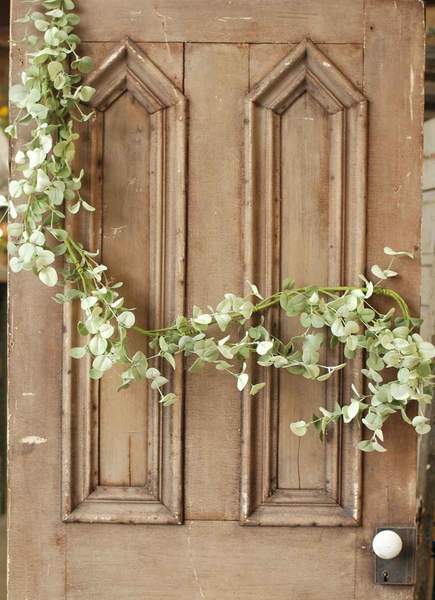 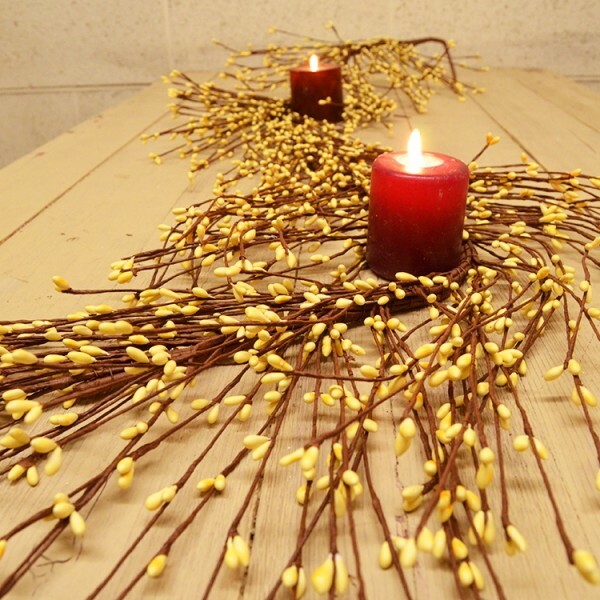 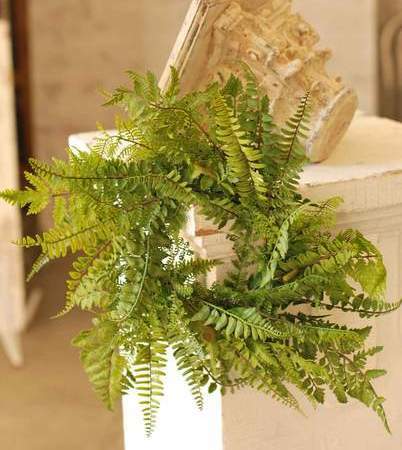 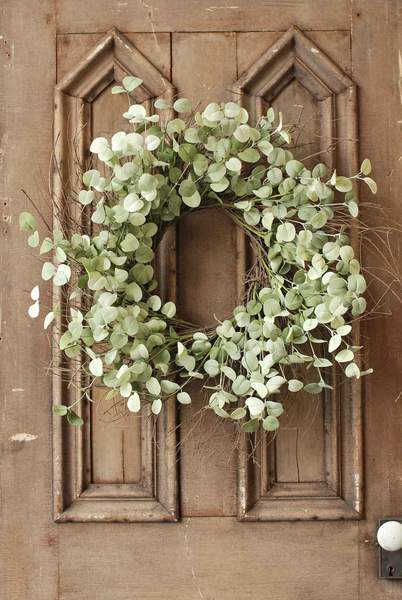 These feature greenery such as eucalyptus, ferns, cotton and forsythia. 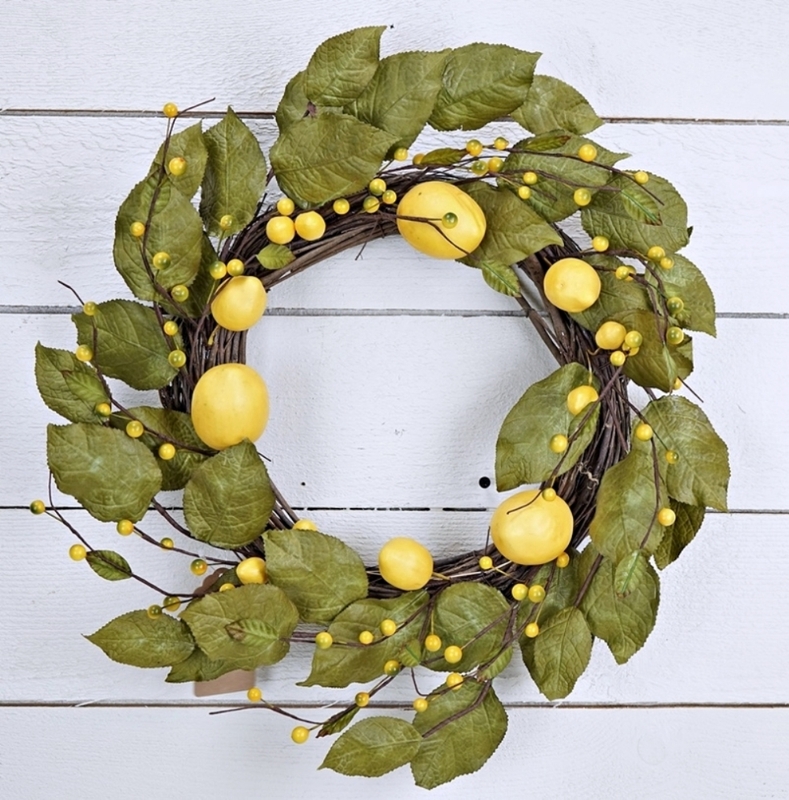 Some non-traditional materials used include lemons and lemon leaves. 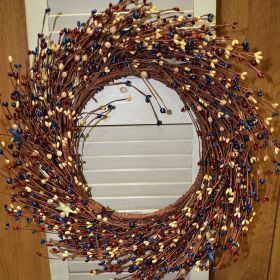 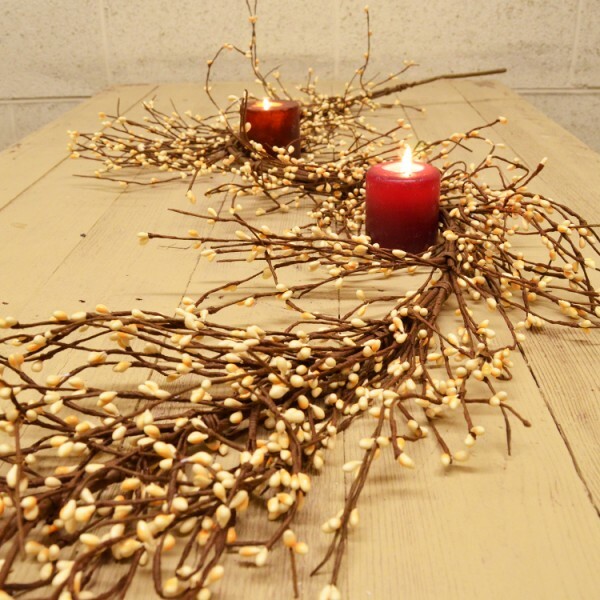 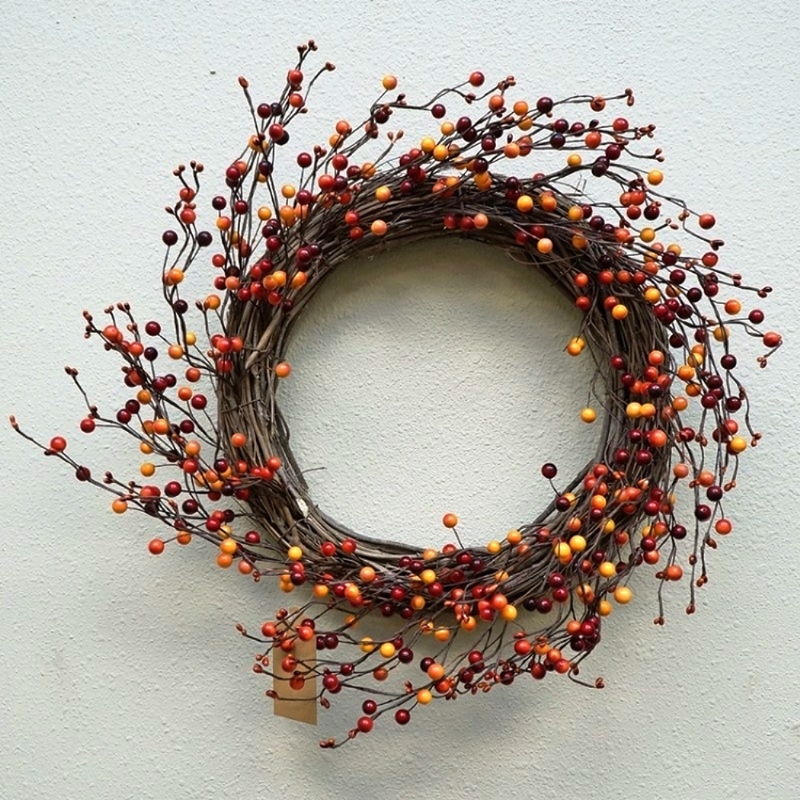 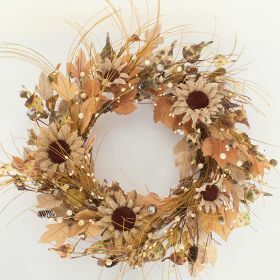 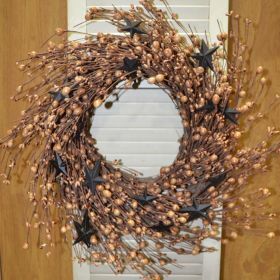 Dried leaves and winter berries are used for our fall and winter wreaths. 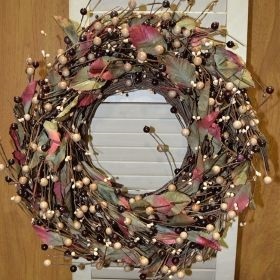 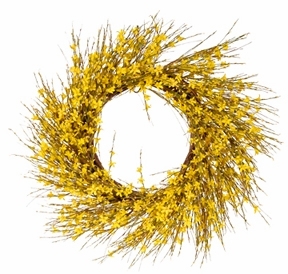 You can also decorate for the holidays with our Easter wreaths and Christmas wreaths. 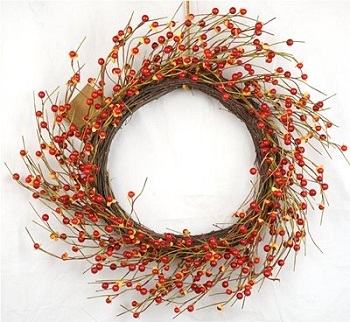 Choose from mini wreaths and candle rings or larger wreaths that range from 12 inches all the way up to 20 inches in diameter. 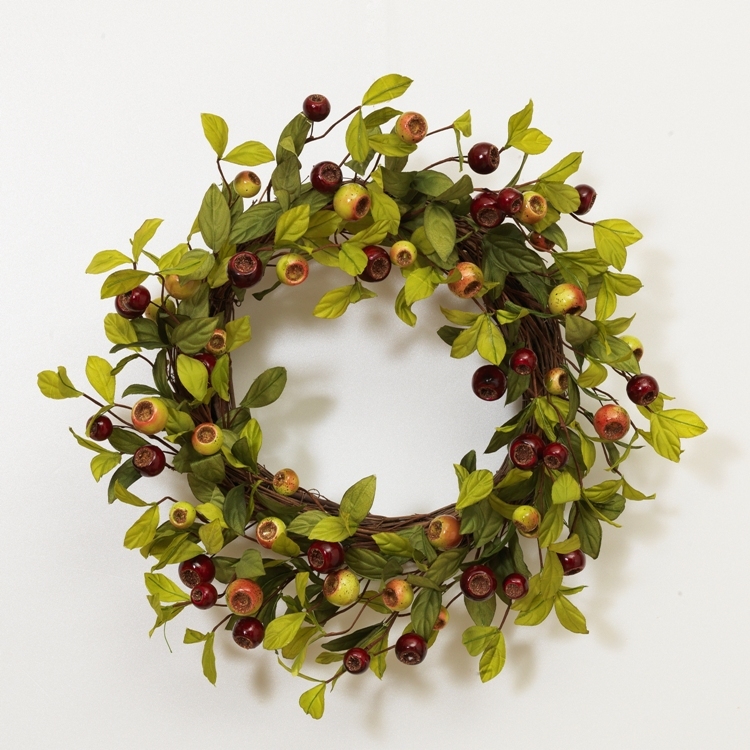 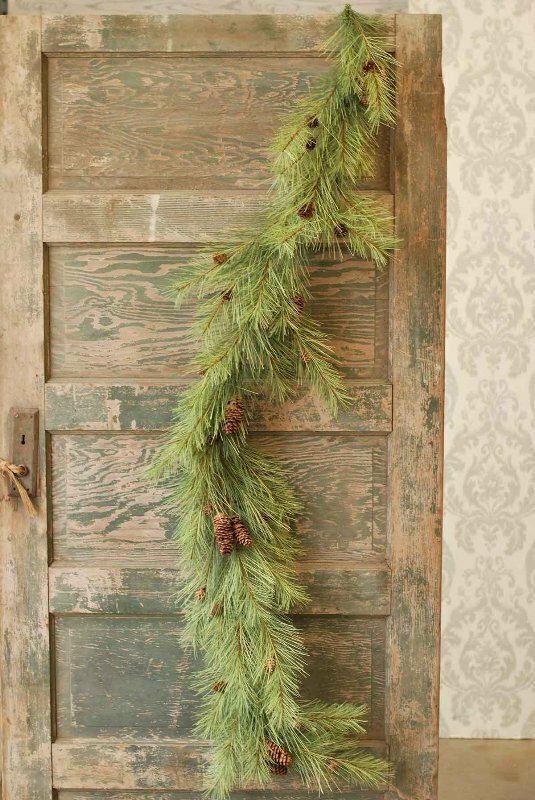 Add even more lovely greenery to your home by pairing your wreaths with our decorative garlands. 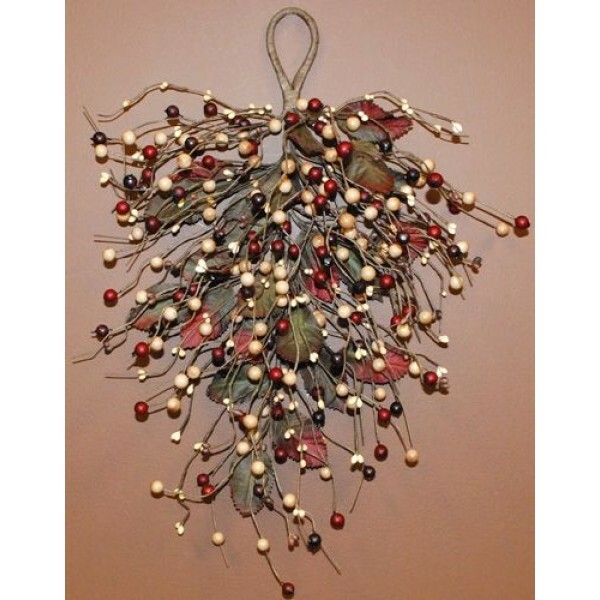 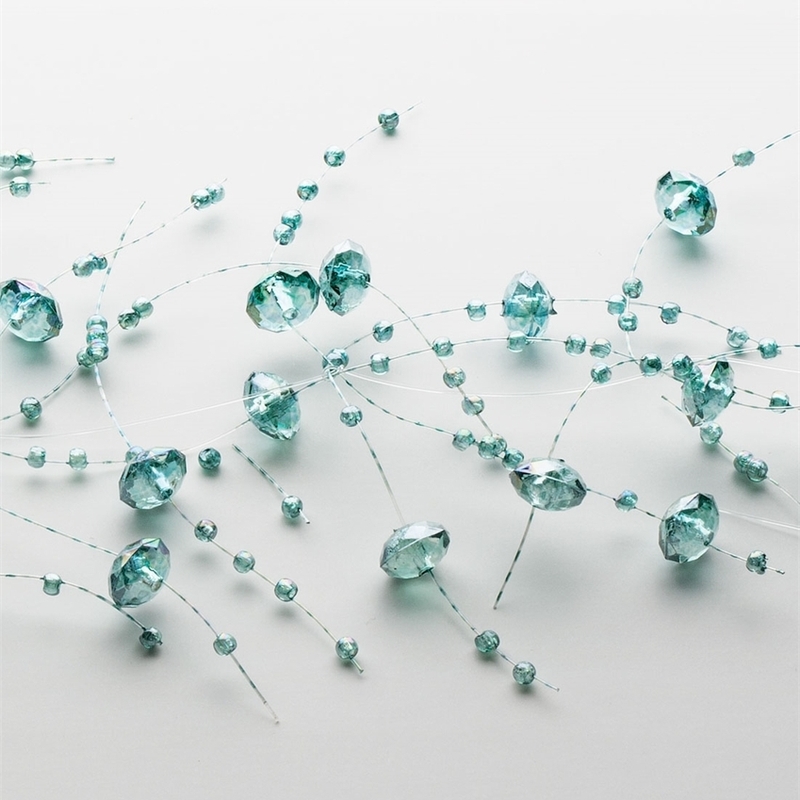 These beautiful decorations can be strung along your walls, wrapped around the centerpiece on your dinner table or wrapped around your staircase bannister. 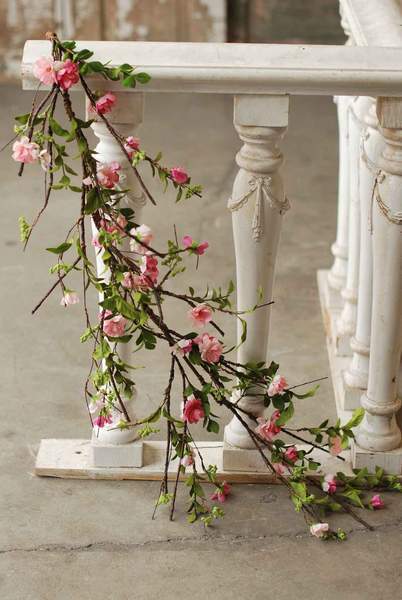 The sky is the limit for the different ways that you can use garlands to decorate your home. 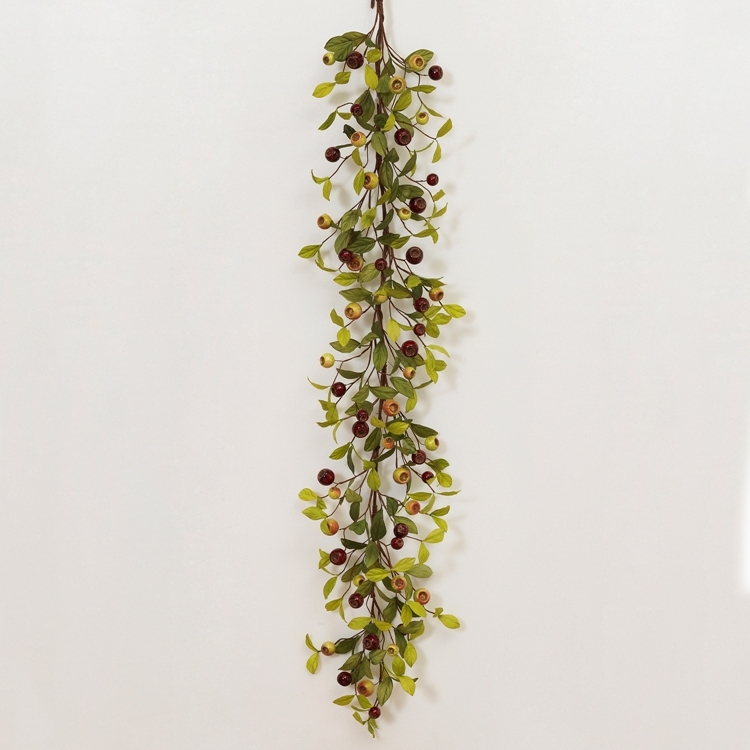 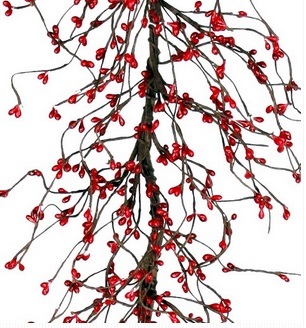 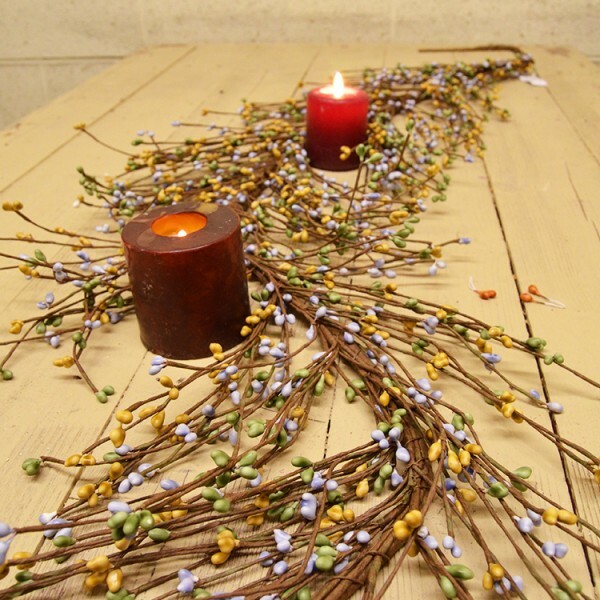 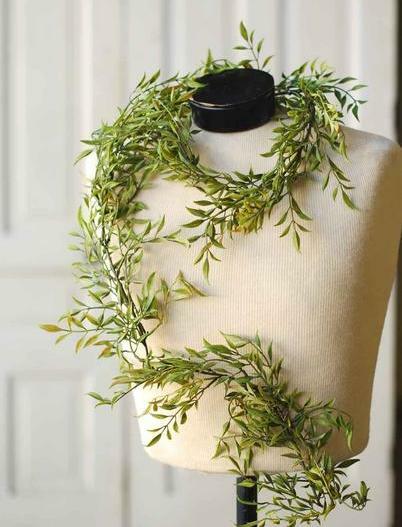 These strings of artificial flowers, leaves and vines are also designed with a variety of different greenery. 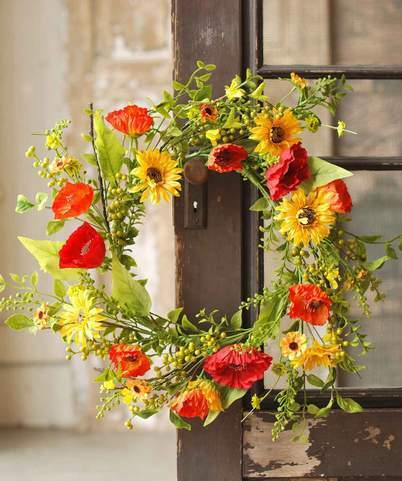 Some of these include wildflowers, hibiscus flowers, hydrangeas, acorns, boxwood, needle pine branches, soft pine branches, coffee beans and buttercups. 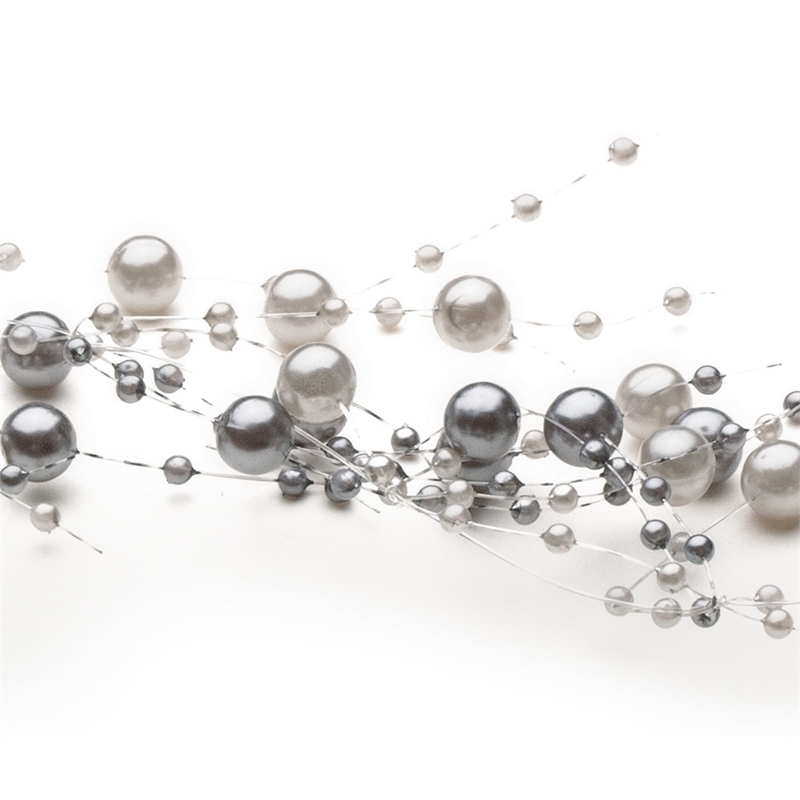 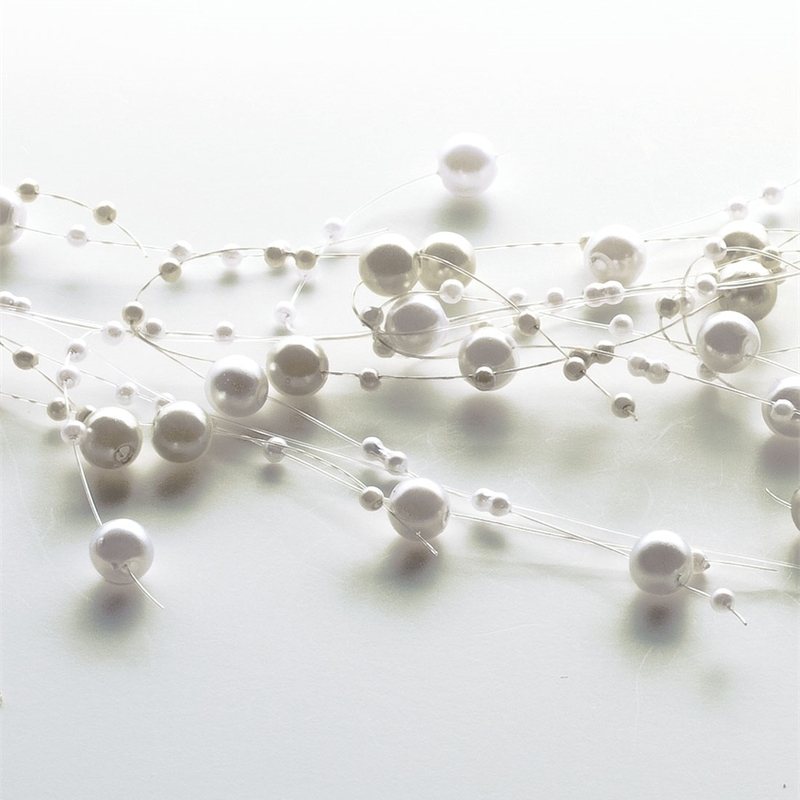 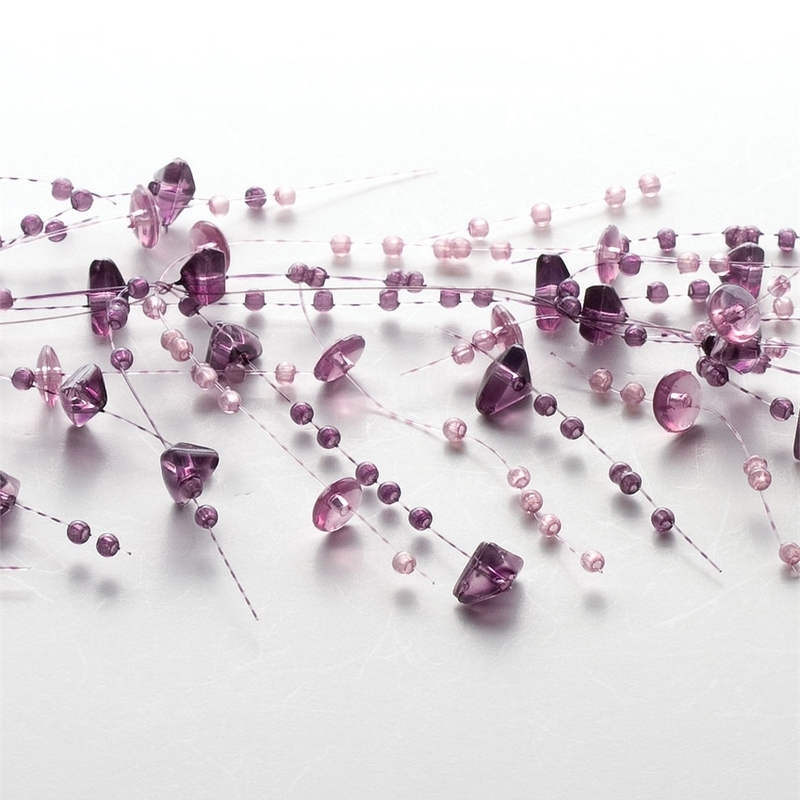 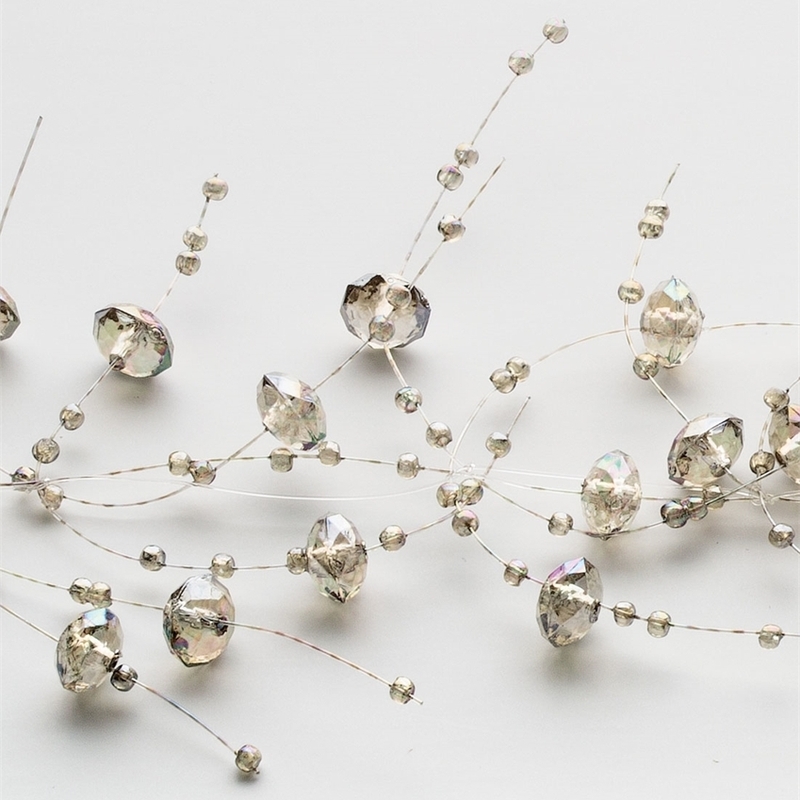 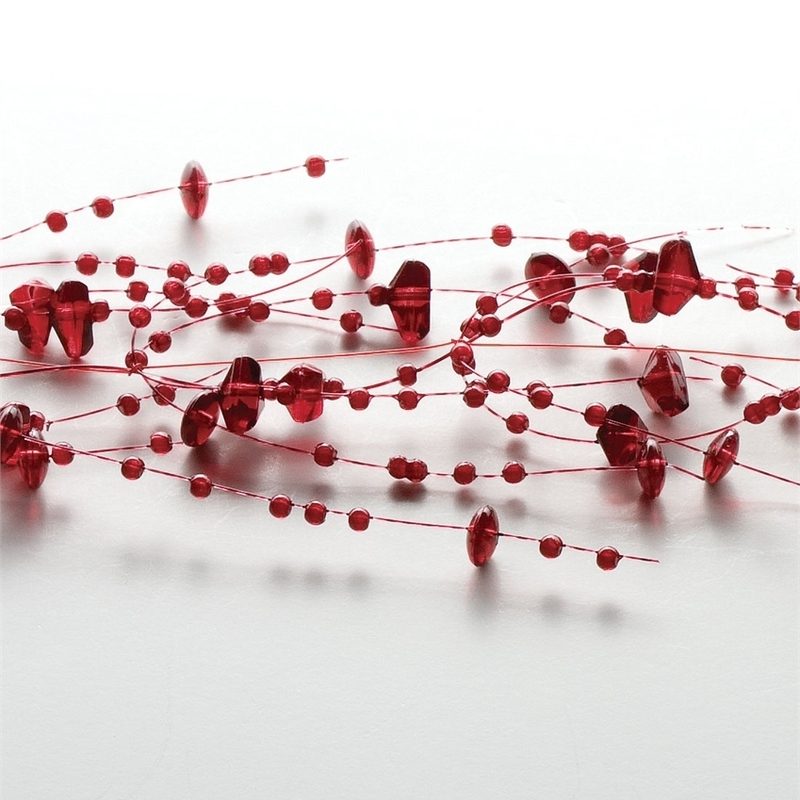 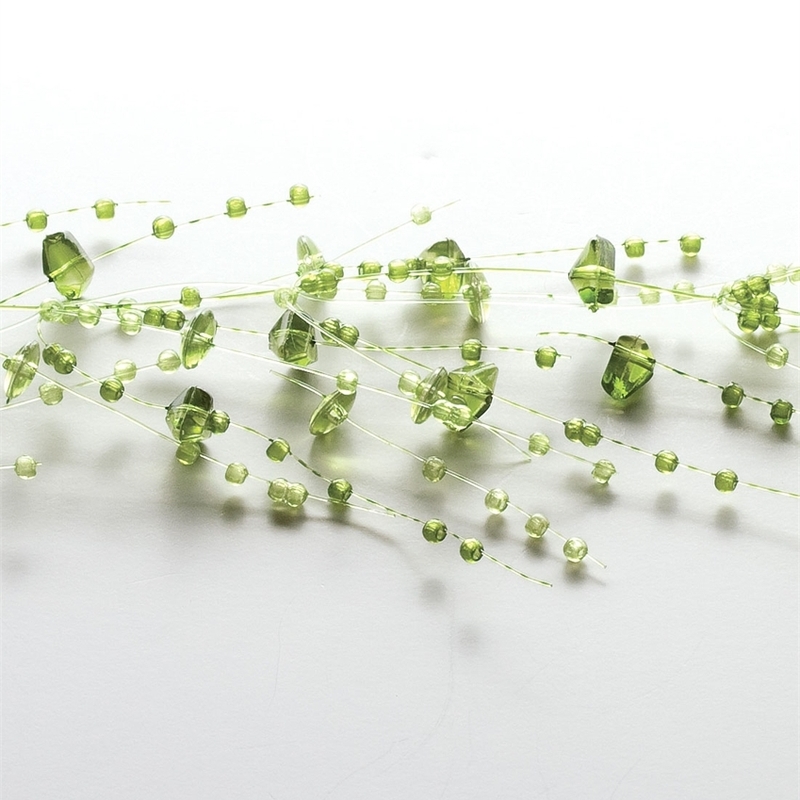 In addition to our floral garlands, we also offer a selection of beaded garland pieces. 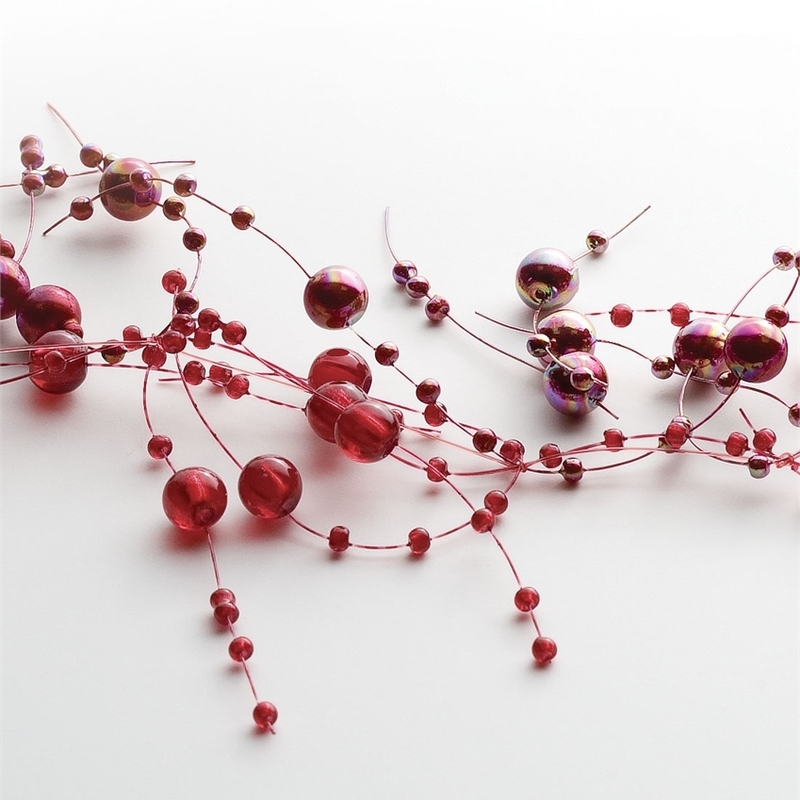 These sparkling decorations, paired with our tree garlands, make excellent additions to your traditional Christmas decor.